Taste of London is over, and although the sunshine forgot to come out at times, it was a fun, few days of festivities, with great food and delicious drinks. 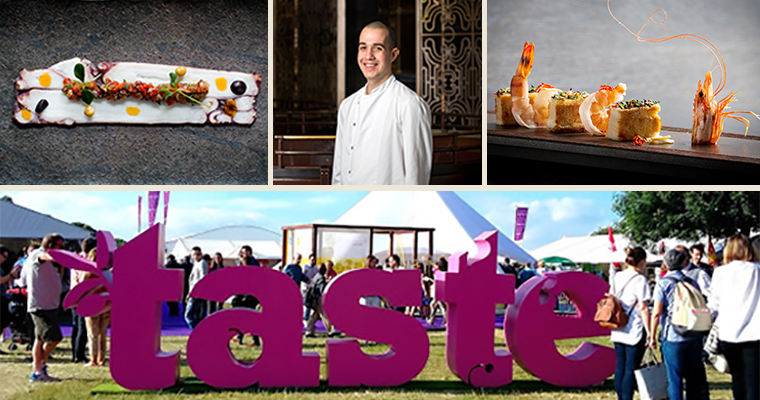 For staff, one of the great things with a festival like Taste of London, is how all sections of the restaurant come together, in an unfamiliar space, and create a wonderful time for everyone. 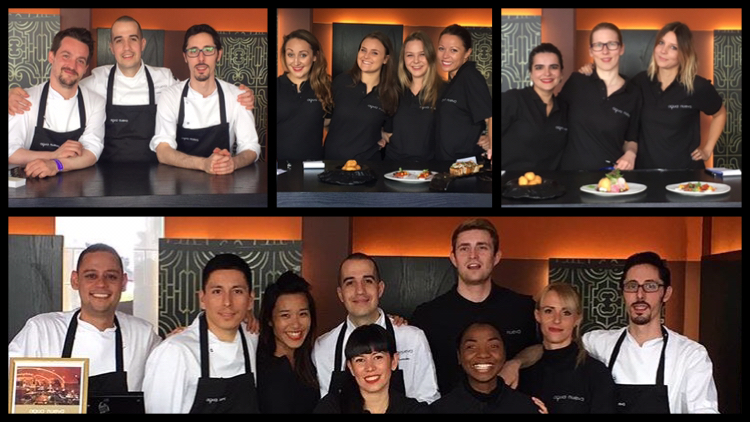 This year we had people from across our four restaurants (aqua shard, Hutong, aqua kyoto, aqua nueva) and head office, working with the aqua nueva chefs. 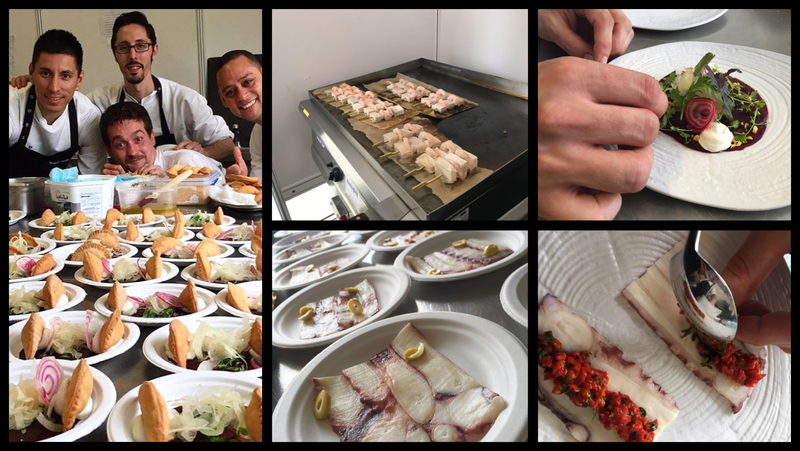 Here are some of the behind the scene photos from this year’s Taste of London. 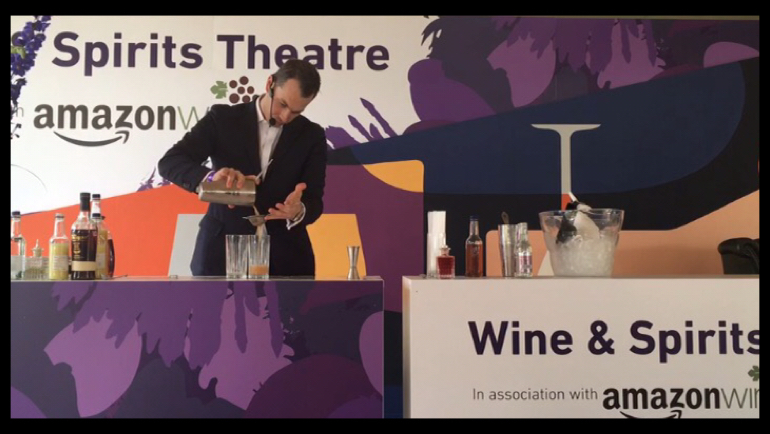 Our Bars manager, Nico Peratinos, during his demo where he taught people how to make Flotante and Wrap it Up cocktails. The weeks leading up to Taste were a busy time for the kitchen, and our Head Chef Yahir had strict schedules and many lists for all his chefs! 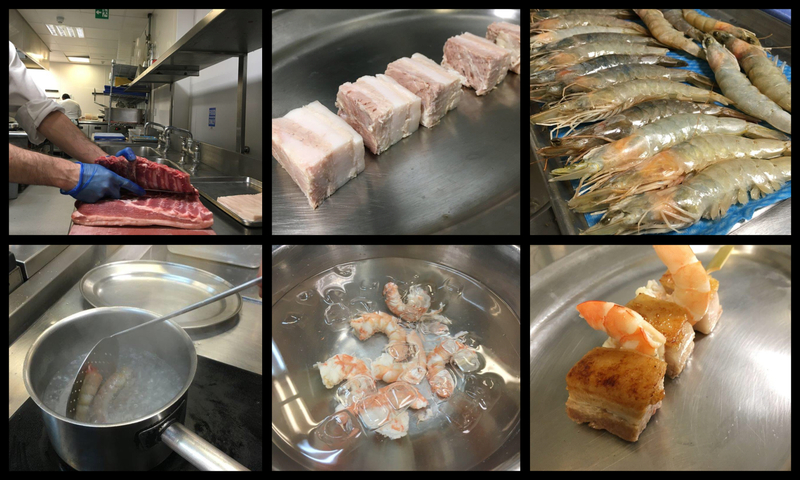 Here are some behind the scene photos from the kitchen of the Taste of London preparation. Iberian ham croquettes: the batter is rolled in flour, egg, and bread crumbs, then fried until crisp and golden. Stuffed pastry with goats cheese, beetroot, celery & honeycomb: the secret in our pastry is adding ‘ajada‘, which is a red-ish oil, made in our kitchen from olive oil, garlic and smoked paprika. Octopus carpaccio with mediterranean dressing: to get the delicate thin slices of octopus, we froze the tentacles as this makes it easier to slice, and the natural gelatine in the octopus means they don’t completely freeze. Pork belly with king prawn and chimichurri: first we cooked and cut the pork belly into cubes, then we cooked the prawns. They were skewered and pan-fried until golden, and finished in the oven. 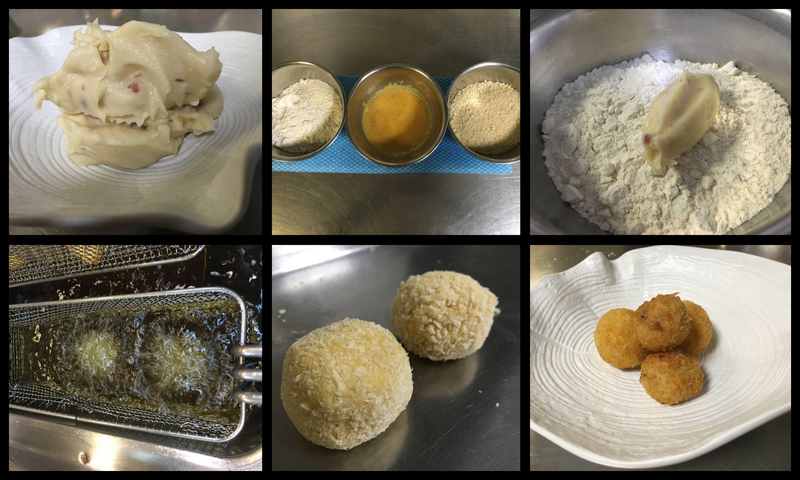 Croquetas Challenge 2016: we won!